You can view the segments of DNA you share with another 23andMe user within the DNA Relatives feature or the Your Connections feature. When you compare yourself to another 23andMe user in either tool, a section appears and displays a diagram of your matching segments of DNA. These segments were likely inherited from an ancestor you both share. 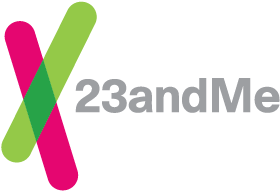 The DNA Relatives feature is an interactive 23andMe tool, allowing you to find and connect with your genetic relatives. Participation in the DNA Relatives feature is optional and you must opt in to the tool in order to see your genetic relatives or be seen by your genetic relatives. This tool has multiple privacy options to suit your individual preferences. For the most visibility, you can choose to participate in Open Sharing. Open Sharing makes select genetic information — including your full profile name, overlapping DNA segments, and Ancestry Composition report — available to your matches in DNA Relatives without an individual sharing request.